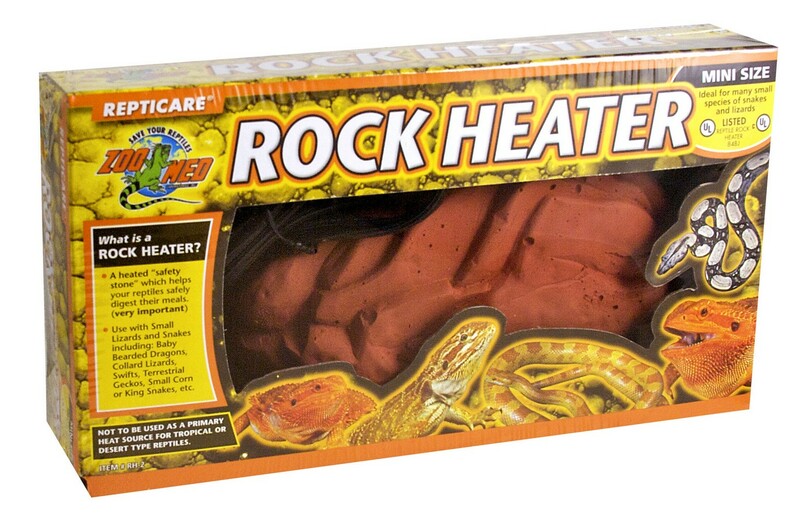 ReptiCare® Rock Heater | Zoo Med Laboratories, Inc. Zoo Med’s ReptiCare® Rock Heaters are made of a hydrated rock material that is twice as strong as cement or pumice, resulting in excellent conductivity and increased product longevity. Hot spots are not a problem with a completely encapsulated full coverage nichrome heating element that distributes heat evenly. Zoo Med’s Deluxe ReptiCare® Rock Heater features a rheostat control allowing you the ability to adjust the surface temperature. Q: Why use Rock Heaters? A: In nature the sun beats down on rocks and pavement (roads) which hold heat. Many species of reptiles will take advantage of this heat during the day or early evening to help “heat-up” their digestive tract and facilitate food digestion. 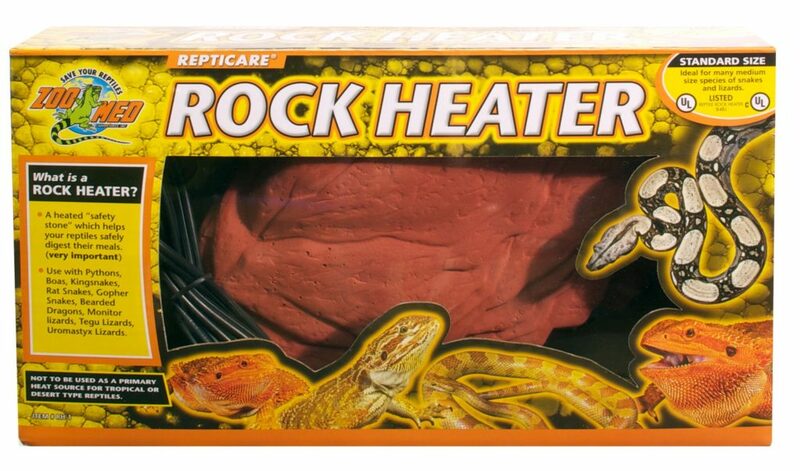 The ReptiCare® Rock Heater replicates this “heated stone” feature found in nature and is very useful for reptiles that eat large meals (ie: mice and rats) like Pythons, Boas, Monitor Lizards, Tegus, etc.